Maybe it is finally time to admit the truth. The New Orleans Saints are not that good of a football team. No, they are not the Saints of old, a team called by many the ‘Aint’s,’ but they also are not the high powered offensive team that for the better part of the last six seasons was a serious contender on any given year in the NFC. Now they seem to be trailing towards the back of the pack, and that fact was never more evident on Sunday at the SuperDome, as the Saints lost a mind boggling game to the usually very beatable Tampa Bay Buccaneers 26-19. 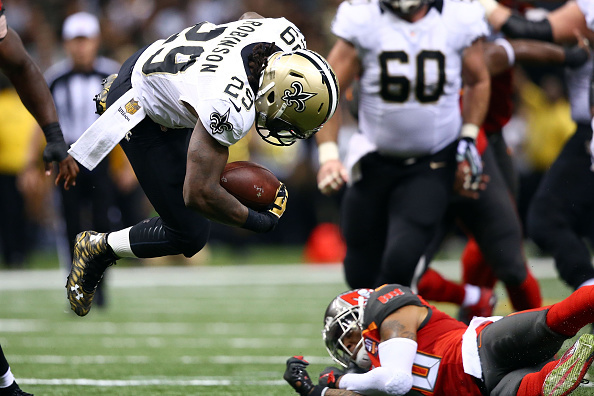 Call it whatever you want, but the Bucs were one team the Saints always seemed to know how to handle. They had won 7 straight against them going into Sunday, yet at one point trailed 23-7 with 2:20 to play in the third quarter. Sure they scrambled back to make it a game, and even had a chance to tie the game late, only to yet again fail when the game was on the line. No matter how you look at it, the Saints are 0-2, and the answers to getting better have to come from somewhere. Where that is is truly anyone’s guess. “I wouldn’t say there’s a big level of concern, mainly just disappointment that we have put ourselves in a little bit of a hole,” Saints QB Drew Brees said. The QB was at his lowest point Sunday. He gave a number of short answers during his post game press conference, and the look in his eyes tells you he’s just not sure anymore this team can contend. To make matters worse, the Saints have dropped six straight at home. They haven’t won a game at the SuperDome since a win over the Packers last October. Bucs rookie QB Jamies Winston was 14-for-21 for 207 yards with a touchdown. He also ran in a TD and rushed for 23 yards. Unlike last week, he didn’t make the normal rookie mistakes that cost games. Brees was 24-for-38, 255 yards with one TD and a pick. For the Saints, it’s their third 0-2 start in the past four seasons. “We’ve won around here, and we’ve had many, many years where we’ve had good records,” Saints safety Kenny Vaccaro said. When that will be is anyone’s guess.